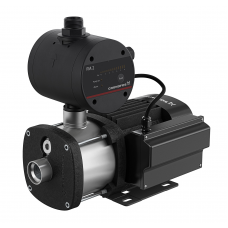 The Grundfos CM Booster Self-Priming pump is designed for domestic and light industry use. The booster unit consists of a robust multistage centrifugal pump and a generator friendly PM1 or PM2 Pressure Manager. The pressure manager allows the pump to start and stop automatically according to demand and protects the pump from dry running.